From August 7 to August 14, 2009 a delegation of Canadian Members of Parliament traveled on humanitarian fact-finding mission to Jordan, the West Bank and Gaza. This week, they presented their report and recommendations to Parliament at a Press Conference on the Hill. The delegation consisted of Liberal MP Borys Wrzesnewskyj, Bloc Quebecois MP Richard Nadeau, and NDP MP Libby Davies. The report outlines the MPs' findings and observations - which included visits to the still devastated Northern region of Gaza, to refugee camps, as well as a rare visit to the illegal tunnels - and outlines seven recommendations for Parliament and Parliamentarians to consider. The report can be downloaded in English here and in French here. While the MPs visited Jordan and the West Bank with the organizational assistance of Canadian Foreign Affairs, they took the unusual decision to enter and spend a night in Gaza without the support of the Canadian government. While elected representatives from the U.S., Europe and other countries have visited Gaza over the past several months, the Canadian government refused to facilitate entry to Gaza for these MPs. Instead, the MPs, who traveled to Gaza at the invitation of UNRWA, took up the offer of assistance from the peace organization Code Pink, and traveled from the West Bank to Gaza via a 24 hour+ trek that took them through Jordan, Cairo and the Sinai to Rafah border. These Canadian MPs were not only the first to visit Gaza since the area was devastated by Israel's "Operation Cast Lead", but are reported to be the first Parliamentary delegation to visit Gaza since Prime Minister Jean Chretien visited in 2003. See a sampling of photos of the delegation on Richard Nadeau's (MP Gatineau) website. Read Libby Davies' (MP Vancouver East) blogs of the delegation here. Watch a flip video of the November 25, 2009 press conference here. Video is available in French on rabbletv's YouTube channel. This is indicated as part 1, we will add any other published video upon release. "Statements of Dhoruba Bin-Wahad and Naji Mujahid condemning the actions of the Israeli government for their unlawful and racially motivated detention at the Allenby/King Hussien Bridge border crossing on 11-23-09." "On 19 November 2009 the London School of Economics (LSE) hosted a seminar on 'Israel's Occupation of Palestine: Who profits and who doesn't'. It was organised by the LSE Student Union and featured two activists from Israel talking about the effects of the Israeli Occupation on Palestinians in the West Bank and Gaza." "On 19 November 2009 the London School of Economics (LSE) hosted a seminar on 'Israel's Occupation of Palestine: Who profits and who doesn't'. It was organised by the LSE Student Union and featured two activists from Israel..."
du 4 novembre au 6 décembre 2009 comme étant une mascarade. de propagande de lEtat dIsraël dénoncé comme un régime dapartheid. Jammusin, Salame, Summeil et bien dautres. à ce titre, du soutien du gouvernement israélien, je ne peux que décliner votre invitation". qui camoufle la réalité dun mouvement international de boycott. soutien au régime dapartheid israélien lors de linauguration privée. "Manifestation à Paris contre la réception à lElysée de Netanyahu, mercredi 11 novembre à 17 h 30, aux Champs-Elysées, metro Franklin Roosevelt." Jewish colonists are using water as a means for the ethnic cleansing of the Palestinians. The aim is to ensure that Palestinians do not get any water so as to move off their own land in order for these criminal colonists to get it for themselves. "On the Listening Post this week, the story of the Israeli settlement building and the chilling effect of British libel laws on press freedom worldwide." "The American International School in Gaza, an elite private school in Gaza City, was destroyed by an Israeli air strike on January 2, 2009. Conversations with students and with the director of the school reflect some of the frustrations of living under siege and occupation. This video is the second in a series on daily life in Gaza." Anything Good and Bright: The American International School in Gaza from maggie schmitt on Vimeo. Israeli Occupation Forces attack the Bil'in weekly protest against the apartheid wall. "Ali Abunimah, co-founder of Electronic Intifada and author of One Country: A Bold Proposal to End the Israeli-Palestinian Impasse delivers the keynote address at the 2009 Campus BDS Conference at Hampshire College in Amherst, MA." "The CNI (Council for the National Interest) Fall Delegation '09 meets with Khaled Meshaal of Hamas, in Damascus, Syria, to discuss the situation in Gaza and the Israeli-Palestinian Peace Process." CNI '09 - Khaled Meshaal & Ambassador Jack Matlock from Dominic John on Vimeo. "Safia al-Shrafi from the Gaza Strip is fulfilling a lifelong dream: to perform the hajj in Mecca. Al Jazeera's Ayman Mohyeldin reports from Mecca in Saudi Arabia." EXECUTIVE PRODUCTION: CHRISTIAN SEBASTIÁN - JOSÉ CARLOS DÍAZ. A documentary on the recent attack in Gaza. The film begins with the entry of the fifth and last Free Gaza Movement boat to make it to Gaza before covering the impact of the siege and harrowing events during the 22-day assault including attacks on Civil Defence centres, paramedics, children, and the UN HQ." "The 2009 Palestine Center Annual Conference - Fourth Panel & Final Remarks"
Susan Akram, Clinical Prof. of Law, Boston Univ. Naseer Aruri, Prof. Emeritus Univ. Of Mass. "The 2009 Palestine Center Annual Conference - Third Panel"
Elliot Colla, Assoc. Prof. Georgetown Univ. The 2009 Palestine Center Annual Conference - Second Panel - PalestineCenter on blip.tv: "The 2009 Palestine Center Annual Conference - Second Pane"
Laurie King, Adj. Prof. Georgetown Univ. The 2009 Palestine Center Annual Conference - First Panel - PalestineCenter on blip.tv: "The 2009 Palestine Center Annual Conference - First Panel"
The 2009 Palestine Center Annual Conference - Introductory Remarks - PalestineCenter on blip.tv: "The 2009 Palestine Center Annual Conference - Introductory Remarks"
Naseer Aruri is an American professor and author of several books on the Israeli-Palestinian conflict. He is the Chancellor Professor (Emeritus) of Political Science at the University of Massachusetts, Dartmouth, where he taught from 1965 to 1998. Aruri was born in Jerusalem in 1934. He immigrated to the United States in 1954, and attended the American International College in Massachusetts. He later received his Ph.D. from the University of Massachusetts. Aruri was a member of the Palestinian National Council, the decision-making body of the Palestine Liberation Organization. In 1983, he helped found the Arab Organization for Human Rights (AOHR). From 1984-1990, Aruri was elected to three consecutive terms on the Board of Directors of Amnesty International, USA, and served on the Board of Directors of Human Rights Watch/Middle East from 1990 to 1992. He was also a member of the Board of Directors of the International Institute for Criminal Investigations (affiliated with the International Criminal Court) in The Hague, until 2004, when he moved to the advisory board of the same organization. He is currently the Chair of the Board of Directors of the Trans-Arab Research Institute and a member of the Board of Directors of the Jerusalem Fund and its Palestine Center Committee. Aruri is also the author of several books on the Israeli-Palestinian conflict, and has been a frequent commentator on the situation in the Middle East. He was an outspoken critic of the Oslo Peace Process, and has widely criticized the United States for its negative role in the region. Aruri has spoken at hundreds of U.S. colleges and universities, and has lectured at McGill University in Montreal, Canada, Kuwait University, and Bir Zeit University in the West Bank. * Jordan: A Study in Political Development 1923–1965. The Hague: Martinus Nijhoff Publishers. 1972. ISBN 9789024712175. http://books.google.com/books?id=GVaG4WGKj9MC. Zionist God: "Suffer, little children of Palestine!" 3) To bring together Palestine-solidarity campus groups that have or have not met under a larger network in order to strive towards a coordinated national BDS campaign. The 2009 Campus BDS Conference has been endorsed by the Palestinian Boycott National Committee, the Palestinian Campaign for the Academic and Cultural Boycott of Israel, and the US Campaign to End the Israeli Occupation." ...every day, day in and day out, the 1.5 million residents of the Gaza Strip must continue their daily lives and try to eke out a living, despite the blockade which since 2006 has smothered Gaza’s economy and isolated it from the world, despite the massive destruction caused by last winter’s bombing, and despite all the political turmoil and uncertainty. This video is the first of a series about life in Gaza now. Not so long ago, the fishermen of Gaza brought in rich hauls, and fishing was one of the pillars of the Gazan economy. But one of the many unseen consequences of the Israeli blockade has been to restrict Gazan access to shared Mediterranean waters, crippling the fishing industry. This video takes us to the port of Gaza City to talk to fishermen about the personal, economic and ecological consequences of the blockade. Fishing in Gaza from maggie schmitt on Vimeo. 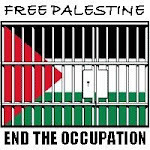 The Free Gaza Movement - November 2009: "We successfully sailed to Gaza four times in 2008. Our last three trips have been violently stopped by the Israeli occupation navy. But we are not going to stop these voyages. We are going again in 2010. We need your help to make the voyages successful. Please watch this tape and see how you can help." Action de protestation contre la venue du criminel de guerre, Moshe Ya'alon. Dans le cadre de la campagne BDS (Boycott, Désinvestissement, Sanctions)." Paris, 21/11/2009 Protest against the visit of War Criminal Moshe Ya'alon. As part of the BDS (Boycott, Divestment, Sanctions) campaign. IPSC: Tell CRH to Stop Colluding with Apartheid Israel! "CRH’s Israeli subsidiary the Mashav Group is to acquire Hanson Israel, Israel's 2nd largest building materials company, which operates illegal quarries, asphalt, aggregate and cement factories in the Occupied West Bank. Added to this CRH (through Mashav) owns a 25% stake in the Nesher Cement company that provides 85% of all cement in Israel. Therefore, the Irish company CRH is currently complicit in the violation of international law through illegal mining activities in Palestine, as well as the construction of Israel's Apartheid Wall in the West Bank, checkpoints and settlement-colonies. CRH boast on their website that they adhere “to the highest standards of corporate and social responsibility”. In light of this, we the undersigned call for CRH to immediately divest from the Mashav Group and to end its collusion with Israel’s Apartheid Regime. Click here to sign the petition." "al-'Abbasiyya is a destroyed Palestinian village located 5 km East of Jaffa, and during the 1948 war it was completely destroyed and ethnically cleansed by the Israeli troops." 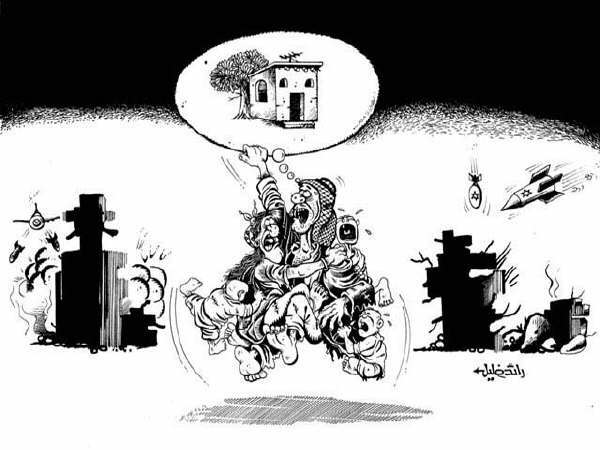 The "Arab al Tarabin" tribe that inhabited the village became internally displaced refugees after Israel evicted them from one place to the next in order to confiscate their land. Labels: Destroyed Villages, Palestine Video, Where are all the villages? "Israeli politicians are reportedly setting out their ideas for the creation of a Palestinian state in a move that comes after the PA suggested asking the UN to recognise the Occupied Territories as an independent Palestinian state. Is this just an attempt to buy time and draw attention away from the stalled peace process?" "Keynote speech by Prof. Richard Falk, United Nations special rapporteur on human rights in the Occupied Palestinian Territories. Camera and editing: Federico Campanale"
Prof. Richard Falk (UN) at UCP International Symposium - The ICJ and Israel's Wall 5 years on from United Civilians for Peace on Vimeo. "second part of discussion at the U of MN, 11/2009." "The Imperial College Political Philosophy Society, in association with Palestine societies at UCL, SOAS, Goldsmiths, LSE, Imperial and Kings, proudly present one of the greatest political philosophers of all time: MIT Professor Emeritus Noam Chomsky, for what could be his last trip to London." Chomsky: Palestine and the region in the Obama era: the emerging framework. from ICU Political Philosophy Society on Vimeo. "200 protestors Palestinian, Israeli & International, gathered today in the village of Niilin for the weekly protest against the wall. The demonstrators marched from the village to the wall which grew some 500 meters longer in the last week. Apparently, the military finds it too hard to cope with the village youth's decisiveness. The extended wall joined the two-weeks policy of shooting live ammunition at the demonstrators revived after a few calmer months. As the demonstration reached the gate in the wall, the demonstrators addressed the soldiers that crowded together from its other side and verbally protested the occupation and the wall. It wasn't long before the soldiers dispersed the group with tear gas, answered with stones from some of the youth. Shortly after, a first injury from the 0.22 ammunition was listed. The demonstration went on for hours, counting two medium & one light injuries. The long wall didn't stop the soldiers from invading the village. The skillful youth managed to avoid injuries for this part of the demonstration, and after chasing the retreating soldiers back to the wall, the demonstration was declared over." "Levy: Israel is pushing for negotiations but it doesn't plan on seriously implementing anything"
Tunnels provide lifeline for Gazans - 20 Nov 09: "While Israel maintains its blockade around the Gaza Strip, tunnels used for smuggling goods continue to provide a lifeline for the beseiged people living there. According to World Bank officials, 80 per cent of Gazas imports currently come through the tunnels, which has only increased the worth of Gaza's tunnel smuggling economy from $30 million in 2006 to $650 million in 2007. However, rampant smuggling makes the price of basic goods almost unbearable for the average Gazan. Al Jazeera's Zeina Awad reports." "The Palestine Authority has called on the public to boycott several large supermarket chains in the West Bank that carry Israeli products. The decision targets upscale markets in Ramallah, in an attempt to pressure the stores to discontinue the sale of fruits and vegetables grown and processed on Israeli settlements in the West Bank. Al Jazeera's Nour Odeh reports from Ramallah." Plight of the Palestinian Children"
Ashraf Shanon talks to a brave Palestinian Child who was injured during Israel's criminal assault on Gaza in January of this year. "BBC relations to the Israeli lobby"
"Israel understanding of negotiations: on November 18 the Jerusalem Municipality demolished four Palestinian houses in East Jerusalem a day after approved the construction of nine hundred dwelling units in the settlement of Gilo." Residents of Bilin village, central West Bank, gathered in a demonstration today, commemorating the 21st anniversary of the Declaration of Independence and condemning the ongoing expansion of illegal Israeli settlements. After the Friday midday prayers, about 150 Palestinian, Israeli and international activists raised dozens of Palestinian flags and posters with the picture of the late Yasser Arafat and chanted slogans calling for the national leadership to keep fighting for the national principles. In a reaction to recent announcements from the Israeli government regarding plans to continue with the construction of 900 new housing units in the settlement of Gilo, they protested against the expansion of illegal settlements in East Jerusalem and the threat this expansion poses for the future Palestinian state with East Jerusalem as its capital. The demonstrators marched to the Wall built on Bilins land, where the Israeli army, based on the other side of the fence, responded to their presence by throwing tear gas bombs and shooting tear gas canisters. Dozens suffered from the effects of tear gas inhalation. In addition, residents of Bilin were calling today for the end of the ongoing arrest campaign, which escalated the day before, when a group of undercover Israeli soldiers invaded the village and arrested a local youth, Mohammad Yassin (20), who was targeted for his participation in the weekly demonstrations. They entered the village in a civilian Isuzu pick-up, dressed like Palestinians, and went directly to the workshop where Mohammad works. Before he was arrested, he was beaten by the soldiers, as were his brother and mother. In addition to Yassin, another 27 Bilin residents were arrested for their involvement in the demonstrations since the 23 June 2009. Among them is Adeeb Abu Rahma, who has been held in detention for more than four months under a charge of incitement organizing demonstrations." "Israel is coming under widespread international criticism for its plan to engage in a new round of illegal settlement expansion on occupied Palestinian land. Israel says it will build 900 new housing units in the East Jerusalem settlement of Gilo. Meanwhile, Palestinian Authority leaders began a renewed effort last week to win international support for formal Security Council endorsement of a Palestinian state based on 1967 borders. We speak with UCLA professor Saree Makdisi, author of Palestine Inside Out: An Everyday Occupation. Saree Makdisi, professor of English and Comparative Literature at UCLA and the author of several books. His latest is called Palestine Inside Out: An Everyday Occupation." Palestine: Is the Vision of an Independent State Still Possible? Palestine: Is the Vision of an Independent State Still Possible?" "British journalist Robert Fisk talks at a public seminar organised by the Pacific Media Centre at AUT University, New Zealand, on 9 September 2008. He talks about the Western use of language to deny justice in the Palestinian struggle: 'The wall which is now larger and taller than the Berlin Wall is now a 'barrier' or a 'fence'.' Camera: Kate Morse, Joe Rixon. Sound: Naveena Baratharaj. Compiler: Kate Morse. Editor: Holly Prebble. AUT Television/Pacific Media Centre. www.pmc.aut.ac.nz"
"Nov. 18 - Israel demolishes an Arab-built structure in East Jerusalem, inflaming already heightened tensions over land use. The Israeli municipality demolished on Wednesday four Palestinian owned homes and offices of a local NGO in East Jerusalem. Seven Palestinians were wounded in Al Bustan neighborhood, when residents tried to stop the demolition of two homes. Witnesses said that soldiers fired tear gas bombs before attacking them attacked them with batons. Also, Jerusalem municipality bulldozers demolished the offices of "The Old City Women Center" Located near Jerusalem's old city. Earlier on Wednesday, the municipality demolished two homes owned by Palestinians east of Jerusalem's old city, rendering five families (35 people in total) homeless. "The B'Tselem NGO has released a short animated film that attempts to portray the 'destructive influence' IDF violence against Palestinians has on Israeli society. The film, created by animator Alon Simon, depicts an incident from July 2008, in which a soldier shot a handcuffed, blindfolded Palestinian in the leg with a rubber bullet during a protest against the West Bank security barrier in Ni'ilin, near Modi'in Illit. B'Tselem says the campaign is meant to show to Israelis that violence against Palestinians in the West Bank is not the result of a few rotten apples, rather it reflects a pattern of behavior that has become the norm for soldiers serving there. A spokeswoman from B'Tselem told The Jerusalem Post that the organization hopes the video will open a dialogue among Israelis over not only what happens in the territories, but how it may be affecting violence in Israeli society. 'The official stance of the State of Israel is to condemn violent acts [by the IDF in the territories], but in practice, a blind eye is often turned and such violent acts are ignored. The B'Tselem representative said the organization doesn't put the blame for violent acts squarely on individual soldiers, because the culture of acceptance is created at higher levels"
"Talk plus discussion/debate by Barghouti, organizer of PACBI (the Palestinian Campaign for the Academic and Cultural Boycott of Israel). Filmed at the U of Minnesota, 11/2009." November 18, 2009 BBC World"
Ralph Schoenman and Mustafa Bargouti comment to Press TV on the latest Israeli plans to increase settlement construction. "Sheffield PSC second visit to Waitrose to demonstrate opposition to their policy of selling Israeli goods produced on stolen Palestinian land. Build the boycott!" This video of the first visit and commentary by activists was published three moths ago. See the second visit video at the bottom. "Imam Achmad Cassiem is a veteran of the struggle against apartheid in South Africa. He was only 15 years old when he joined the armed struggle, and at the age of 17 he was one of the youngest people to be sent to Robben Island, sentenced to hard labour. There he was tortured and placed in solitary confinement for trying to expose the prison conditions. He was imprisoned for a total of 11 years and a further 11 years under banning orders. This didn't deter his struggle for a justice social order and after the fall of the apartheid regime he helped found the Islamic Unity Convention and Qibla which till today works in the townships, educating feeding and providing medial care to thousands. On the second anniversary of the invasion of Iraq, on 19th March 2005, Imam Achmad Cassiem addressed a crowd of 200,000 people in Londons Trafalgar Square. "Created on November 14, 2009 using FlipShare." Jack Teitel's arrest and the Israeli media. ... remarks by Netta Mishly and Maya Wind who were activists in the Israeli high school group Shministim. Also interview with Anna Baltzer who won national attention on "The Daily Show" about her book "Witness in Palestine"
"In several events filmed by B'Tselem during October, settlers are seen hampering Palestinians from harvesting olives and stealing their crops. We also hear from the settlers who are involved in these actions." "Dispatches investigates one of the most powerful and influential political lobbies in Britain, which is working in support of the interests of the State of Israel [48mins]"
"Levy: Israel is in a 'coma' and needs outside help to get over its addiction to the occupation"
Where is Palestine Today? "Conference By Mustafa Barghouti - Luxembourg October 2009"
The British Firefighters' Union on Gaza, a former senior CIA Official on covert assassination before the fall of the Berlin Wall"
"A meeting of the Arab League has been held at its headquarters in Cairo to discuss the issue of Palestinian prisoners held by Israel. During the meeting, the Palestinian envoy pointed to numerous violations of international law by Israelis against the prisoners. Here's a report." "Palestinian ambulance driver Khaled Abu Sada has been helping to save lives for over a decade. He was first interviewed by Al Jazeera three years ago. Facing difficulties such as the destruction of his house during Israel's war on Gaza and the loss of close friends, Khaled also comments on political issues that effect his life every single day." What has been achieved from the peace talks? "Israel dubs Palestinian farmers trying in vain to irrigate their lands 'water pirates'. Palestinian farmers in the West Bank, or 'water pirates' as Israeli occupation forces prefer to call them, are siphoning off drinking water pipes in an effort to secure water to irrigate their farmland. Water is an increasingly disputed resource between Israel and the Palestinians. A World Bank report has accused Israel of using four times more water than Palestinians from the so-called Mountain Aquifer that bridges Israel and the territory and runs along the West Bank. Israel disputes that claim and says the Palestinians are jeopardising the resource through illegal use. Palestinians argue they are being denied access in order to force them off their land. This exclusive report from Al Jazeera shows Israeli occupation forces dismantling a farmer's water pipes in the agricultural village of al-Baqa. Badran Jaber, a Palestinian farmer, told Al Jazeera: 'We were surprised by a large group of soldiers and settlers who surrounded the entire area. We asked them: 'why are you doing this and what do you want?' They refused to speak to us. "Men who came with the soldiers stormed the field and pulled out all the irrigation pipes, destroying the crops." Al Jazeera's Jacky Rowland reports on how Israeli rules blight the lives of many Palestinians." "The West Bank town of Salfit has suffered for years from wastewater channeled its way from the Ariel settlement, as depicted in the video. This case is not unusual in the West Bank: as detailed in B'Tselem's report on the subject, tens of millions of cubic meters of wastewater flow freely in the West Bank, from settlements, from Jerusalem and from Palestinian communities, greatly damaging the environment. In many settlements, the wastewater treatment plants are outdated and cannot treat the load currently placed on them; other settlements have never built plants. Israel has placed obstacles before efforts made by the Palestinian Authority to build treatment plants in Palestinian communities, including the condition that some plants serve adjacent settlements as well. The PA objects, on the grounds that establishing joint plants would legitimize the existence of the settlements. The neglect of wastewater treatment in the West Bank has already polluted water sources used by Palestinians and in the long run, is expected to pollute water sources shared by Israelis and Palestinians. Give the urgency of the problem, B'Tselem calls on Israel and the PA to advance Palestinian treatment projects as quickly as possible. This includes projects that will serve settlements too, with the understanding that they will continue to serve the Palestinian communities in the future, if the settlements are evacuated." B'Tselem's last part of this statement is sad indeed. A human rights org giving in to blackmail by the Israeli government and the illegal settlers. Either the Palestinian victims give in to the colonizers' demands and pay for and legitimize their occupation and colonialism or they'll flood Palestinian towns and villages with wastewater and sewage. B'Tselem should revise its own declaration and demand that Israel fulfills it's obligation under international law as the Occupying power to guarantee the health and safety of the occupied, as well as remove the illegal settlements in violation of the Fourth Geneva Convention. "Roads in the occupied Palestinian Territories are vital arteries connecting West Bank towns and villages. But major routes have been closed off to tens of thousands of Palestinians, for the benefit of a handful of Israeli settlers. Now, in the first ruling of its kind, Israel's supreme court has ordered the army to open up a West Bank highway to Palestinian traffic again. Nicole Johnston reports from the occupied West Bank." "...Avi Shlaim, professor of international relations at Oxford will be in conversation with Shlomo Sand, professor of contemporary history at Tel Aviv University, at the Frontline Club for a seminal evening of discussion. Avi Shlaim’s new book, Israel and Palestine focuses on the causes and consequences of the Israeli-Palestine conflict, while Shlomo Sand’s international best-seller The Invention of the Jewish People unravels the mythologised history of the Jewish people to find that the Israelites were never exiled from the promised land, and therefore have no right to return. The book concludes that the present-day Palestinian Arabs are the true heirs of the biblical Jews... Jacqueline Rose, Professor of English at Queen Mary University of London. Her books include Sexuality in the Field of Vision, the novel Albertine, On Not Being Able to Sleep and The Question of Zion. She contributes regularly to the London Review of Books, and wrote and presented the Channel 4 documentary, Dangerous Liaison – Israel and America." "Sharihan Hannoun and Nasser al-Ghawi, two victims of house evictions that took place this past August, and Suhail Khalilieh, a political analyst and expert on Israeli settlements, tell their stories to Yousef Munayyer at the Palestine Center in Washington, DC." "Almost a year after Israel launched its war on Gaza, Palestinians who live there are still trying to rebuild their lives from the devastation. For those living near the border, that task has become all the more difficult and dangerous. Not only are these people living too far from population centres to receive aid, they also live in constant fear of being shot or coming under attack. Al Jazeera correspondent Zeina Awad reports on their plight in northern Gaza." Gaza – Ma’an – The European medical aid convoy “Miles of Smiles” arrived in Gaza late night Wednesday night after spending 25 days waiting on the Egyptian side of the crossing. Hamdi Sha’th, head of the committee against the siege, told Ma’an over the phone that the convoy will stay in Gaza only 48 hours and will leave on Friday after the noon prayer. The short trip was part of the terms negotiated by Egyptian border officials. Initial conditions were set at a 24-hour visit, but negotiations with convoy leaders saw the timeframe extended by a day. The group brings into the Strip 100 small trucks loaded with medical aid and nearly 260 wheelchairs in addition to a number of ambulances, 102 cars for transportation of the disabled and computers for schools damaged during the last war. Sha’th said the convoy consisted of 60 individuals from 10 different European countries, who would travel to the northern Strip where they would meet with members of the Palestinian Legislative Council, then head to the Ash-Shifa Hospital in Gaza City, which bore the brunt of casualties from Israel's last war on the area in December and January. Later in the day the delegation will meet families of prisoners being held in Israel, and finally a meeting with de facto government officials. Minister of Labor and Social Affairs in the de facto government Ahmad Al-Kurd said in a press conference after the convoy arrived in Gaza that the convoy is carrying a moral message to the world, demanding they “stop besieging one and a half million Palestinians," and will carry the "devastating humanitarian impact” of the siege back to their countries and spread the word. In 2004, construction began in Jerusalem on the local branch of the Los Angeles-based Museum of Tolerance, designed by the leading American architect, Frank Gehry. The museum is now being built over the remains of what had been the largest and most important Muslim cemetery in Palestine, which had been in continual use from the time of the Crusades up until 1948." Antony Loewenstein - Antony Loewenstein is a Sydney-based freelance journalist, author and blogger. He has written for the Sydney Morning Herald, The Australian, The Guardian, Washington Post, Haaretz, The Nation, Sydney's Sun-Herald, Melbourne's Age, Brisbane's Courier Mail, ABC Unleashed, Amnesty International Australia, Adelaide's Advertiser, The Bulletin, Znet, The Big Issue, Counterpunch and many others. Loewenstein contributed a major chapter to 2004's best-seller, Not Happy, John! on the Hanan Ashrawi affair. His best-selling book on the Israel/Palestine conflict, My Israel Question, was released by Melbourne University Publishing in 2006. A new, updated edition was released in 2007 (and reprinted again in 2008). The book was short-listed for the 2007 NSW Premier's Literary Award. His second book, The Blogging Revolution, on the Internet in repressive regimes, was released in 2008 by Melbourne University Publishing. He writes regularly for online magazines New Matilda and Crikey and is a board member of Macquarie University's Centre for Middle East and North African Studies. He is an Honorary Associate at Macquarie University's Department of Politics and International Relations. He is the co-founder of advocacy group Independent Australian Jewish Voices and contributed to Amnesty International Australia's 2008 campaign about Chinese Internet repression and the Beijing Olympic Games. Loewenstein appears regularly on radio, TV, in public and at universities discussing current affairs and politics. Saree Makdisi - Professor Saree Makdisi is a professor of English Literature at the University of California, Los Angeles. He is the author of several books on British Romanticism, his area of expertise. He also writes on contemporary Arab politics and culture. Saree Makdisi is the nephew of the late Edward Said and the grandson of Anis Makdisi, a distinguished professor of Arabic at the American University of Beirut. In 2008, Makdisi published his book Palestine Inside Out: Everyday Occupation. The book combines the personal experiences of daily life under occupation with an analysis of how the occupation functions as a whole.